At The McManus: Dundee’s Art Gallery and Museum, a proposed case re-display was to focus on design. 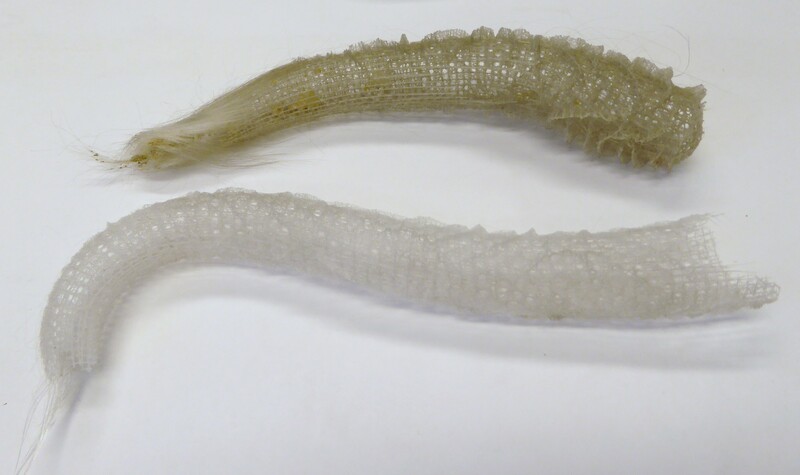 Thus the Art Curator and the Natural Historian got together and produced 13 grubby Venus flower baskets (a type of glass sponge). As a trained objects conservator I have seen many items come across my desk, however these were a first. 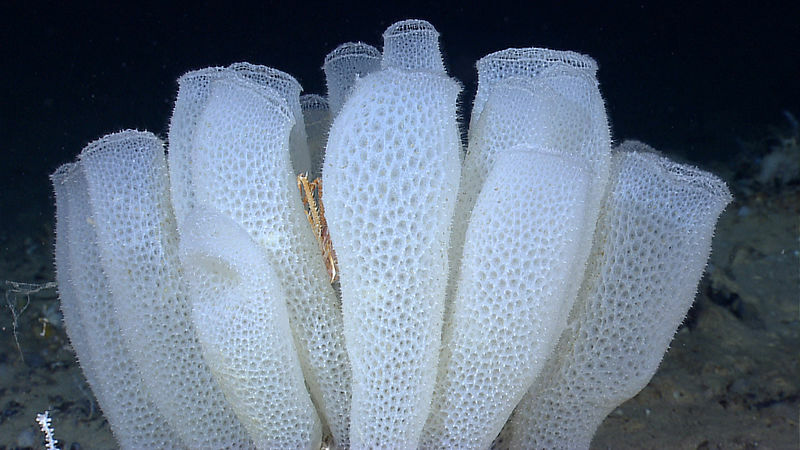 Never having seen these deep sea siliceous sponges before, I found them quite fascinating. There are 13 in our collection and at least one of them came from the Challenger Expedition of 1870. The sponges themselves offer a fascinating insight into the first date hotel; a young shrimp couple enter the skeleton of the sponge and mate for life – a jolly good love affair or entrapment? Whichever side you fall on, the actual construction of the sponge is what fascinated the Art Curator. The lattice work formation of the skeleton, which is incredibly strong and functional yet also beautiful, has inspired architects and engineers. Norman Foster’s ‘Gherkin’ building owes a lot to this design of nature. Even David Attenborough listed them in his ‘Attenborough’s Ark’ aired in 2012. But, how was I to treat them? As luck would have it I was due to attend a Fluid Preservation course at the University of Dundee, delivered by Natural History Conservator Simon Moore. After some gentle persuasion he came of his own free will to our Museum store to look at them and gave some very sound advice. I subsequently embarked upon treatment of our 13 specimens, which were verging on 50 shades of grey. They were all housed in the same box with no separation. Although some had lost the long fibres that would have anchored them to the sea bed, most were intact, showing how resistant they are to mechanical forces. All were photographed prior to treatment. I started with a bath of acetone to remove any possible historic consolidant which looked to have been sprayed on (no past treatment reports could be found to confirm this). This was followed by a bath in the ultrasonic cleaner, just in water, where the dust could be seen lifting away from the sponges. Repeating the steps produced the difference seen in the image above. They were then left to air dry on blotting paper. 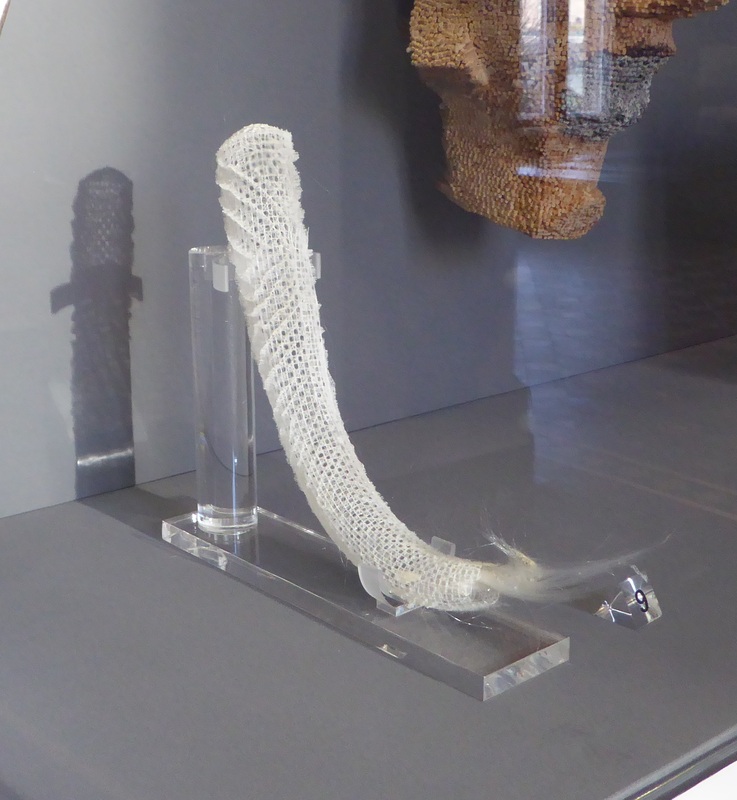 A local company made one of the sponges a bespoke perspex mount and it now sits happily in the new display. The others are now housed in a drawer in a plastazote support with bespoke cut outs for each sponge. We are not sure why they would have been sprayed with consolidant as they hold their form perfectly well post treatment. A more invasive treatment involving hydrogen peroxide and ammonia was discussed, but this drastic measure was not needed as the conservation treatment was a complete success, and now the only shades of grey we look at is the sky!